LifeSaver Training offers a wide range of educational courses, suitable for individuals and business. We strive to provide clients with the highest quality training available. LifeSaver Training is fully compliant with the latest Resuscitation Council UK regulations. All our courses are designed to be enjoyable, informative and interactive. LifeSaver Training is a Highfield approved training centre, we also offer a wide range of Association of First Aiders qualifications and Emergency First Response courses. Click on the facility logo’s to find out more. 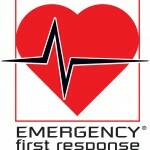 LifeSaver Training offers a wide range of Emergency First Response courses. The Emergency First Response Primary Care, Secondary Care and Care for Children courses are designed to enable individuals to learn first aid in a stress free and enjoyable manner. At LifeSaver Training we strongly believe in this ethos. Emergency First Response training is based on recommendations by ILCOR, so candidates learn the same skills as used by nurses, paramedics and medical professionals – rescue skills learned on our courses are just as effective as those used by the professionals. LifeSaver Training is an approved Highfield Qualifications training centre. Highfield Qualifications is authorised by the Regulatory Authorities (Ofqual, Welsh Government, CCEA and SQA) to award accredited Food Safety, Health and Safety, HACCP, First Aid, Licensing, Security (SIA), Fire Safety and Teaching qualifications in England, Wales, Northern Ireland and Scotland. AoFA Qualifications (AoFAQ) is the new awarding arm and sister organisation to the Association of First Aiders (AoFA). The AoFAQ is taking over the awarding activities of the AoFA. The AoFA is also an ofqual approved awarding body for first aid qualifications. The AoFA are pleased to be associated with The Royal College of Surgeons of Edinburgh – Faculty of Pre-Hospital Care. The AoFA is supported and approved by the Health & Safety Executive. Please feel free to use the menu links to view the courses we provide. Should further information be required we can be reached on telephone numbers: Office: 0151 207 0081 or Mobile: 07971 193663. Alternatively you may wish to send us an email or use our contact form.